FLTR: Cape Wine Auction Director Darielle Robertson with Mike Ratcliffe, Wendy Appelbaum, Raymond Ndlovu and Andi Norton. In a spectacular show of generosity bidders at the Cape Wine Auction, sponsored by Nedbank Private Wealth, helped the event’s organisers to raise a staggering R22.3 million. The event took place at Antonij Rupert Wyne Estate on Saturday, 11 February. All proceeds from the auction, with no deduction, will be allocated to 22 beneficiary organisations, all of whom make a profound impact on education and the lives of children in the Cape Winelands. Lots comprising exciting travel, luxury accommodation and limited edition wines went under the hammer. A bespoke experience in the Napa Valley, California, reached a bid of 3 million – the highest bid achieved since the auction’s inception in 2014. The Lionel and Anton Smit collaborative sculpture, created especially for the auction and standing three meters tall reached an incredible R1.2 million. This lot included a wine and dine experience at Idiom Fine Dining Restaurant and Wine Estate. 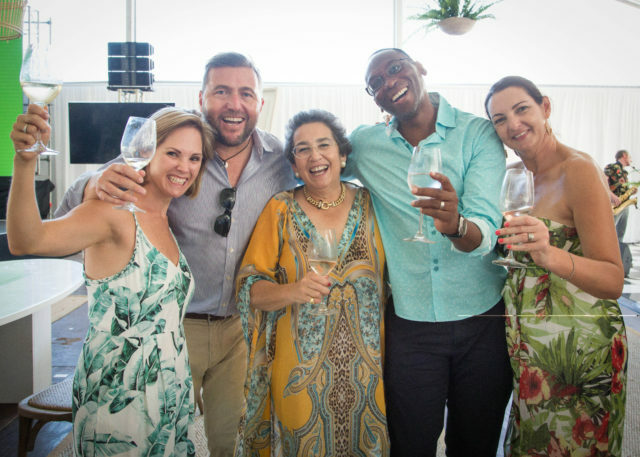 Guests from across South Africa and as far as the USA, Germany and Sweden were treated with cuisine prepared by some of South Africa’s leading chefs, limited edition wines and performances by Zolani Mahola, Watershed’s Craig Hinds and George Town. Cape Wine Auction Director, Darielle Robertson, says they are overwhelmed by the generosity of the bidders. La Cotte stream water pollution resolved? 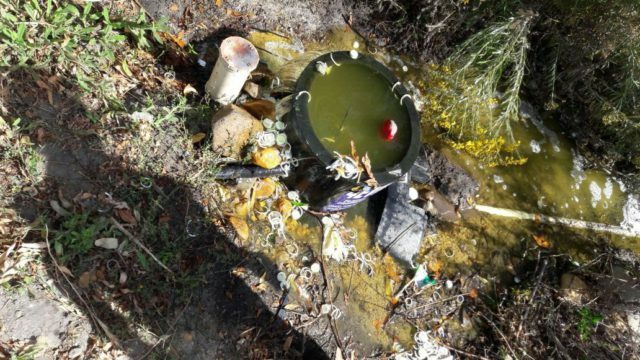 The source of the water pollution that has been plaguing down-stream users of the La Cotte stream’s water since November 2016. Corrective measures have now been put in place. Users of water from the La Cotte stream have been complaining of pollution in the stream since late November 2016. Problems experienced included discolouration; yeasty, sewerage-type smells; slimy deposits in the stream and soapy/frothing water that clogs filters in irrigation systems. The source of the pollution was identified as the Libstar 3 plant on Chamonix farm. 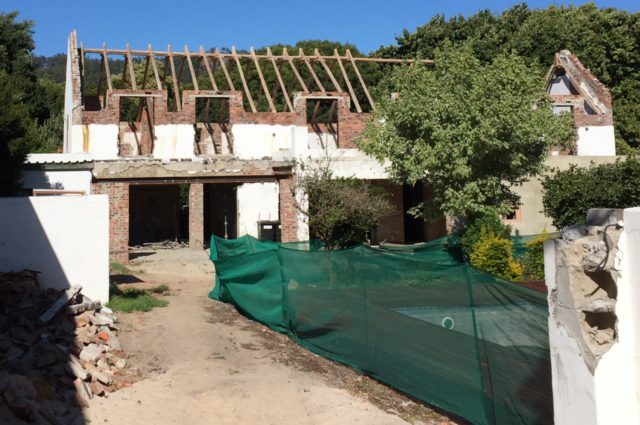 A growing body of Franschhoek residents and the Franschhoek Trust and Ratepayers Association are bringing pressure to bear on Stellenbosch Municipality’s Planning Department to ‘stick to the rules’ and enforce compliance with building and zoning regulations. Bridge House students test their roofing skills. 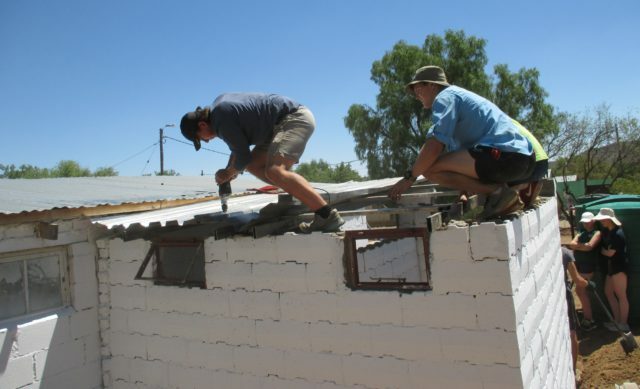 Busy days, hot sun, dusty streets, smiling faces, sweaty bodies and full hearts are some of the phrases used by Bridge House students to describe their experience working at a community partnership project in Philippolis during the first week of the December holidays. John Varty, who runs the Tiger Canyons Conservation project near Philippolis, together with the Good Work Foundation, originally set up the project in this area, where one of the most impoverished communities in the country lives. The project forms part of Tiger Canyons’ social responsibility outreach. The Good Work Foundation continues to run this as an ongoing project, along with other projects around the country. The Claire Horn Physiotherapy team: Claire Horn, Villene Alderslade, Bronwen Talbot, Tracy Prowse and Alishia Jafthas. Claire Horn and Associates Physiotherapy is celebrating fifteen years of “Physiotherapy in Franschhoek” this year. 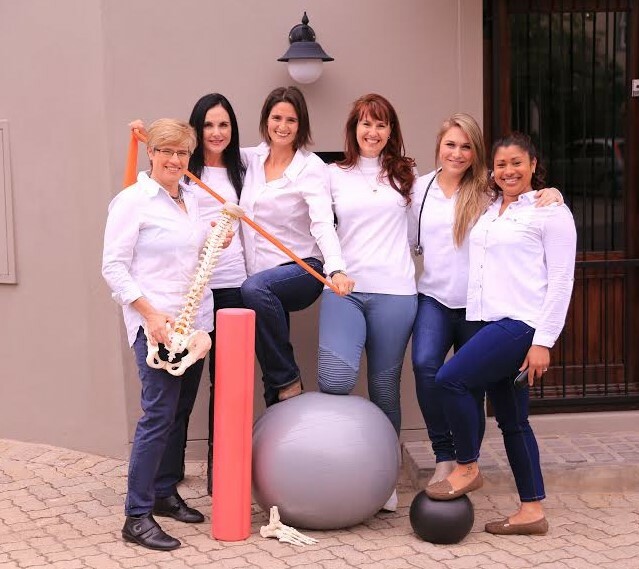 We are now 4 physiotherapists – Claire Horn, Villene Alderslade, Bronwen Talbot and Tracy Prowse – and have 3 treatment sites: Franschhoek, Pearl Valley and Bridge House School. Alishia Jafthas, well known to many of you, is our office manager and handles the phone, accounts and all of us!! 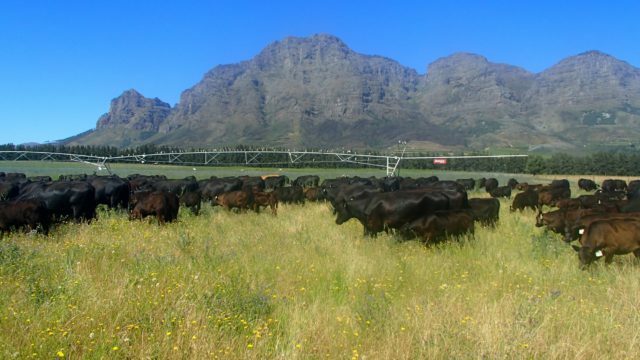 Boschendal Estate has been awarded the Angus Society of South Africa 2016 Trophy for the best Black Angus commercial breeder in the Western Cape. A new exhibition at the La Motte Museum pays tribute to the life and work of SA artist Jacob Hendrik Pierneef. 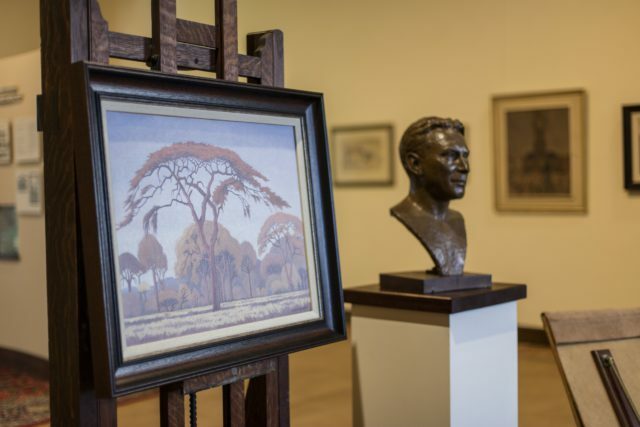 Fittingly titled A Tribute to the life and work of Jacob Hendrik Pierneef (1886-1957) the exhibition will run for the duration of 2017. The exhibition celebrates the artist’s contribution to South African art and enhances La Motte’s permanent heritage collection with selected artworks and personal artefacts from various South African collections. Sensei Chris Ensil with Western Cape Minister of Cultural Affairs and Sport, Anroux Marais. 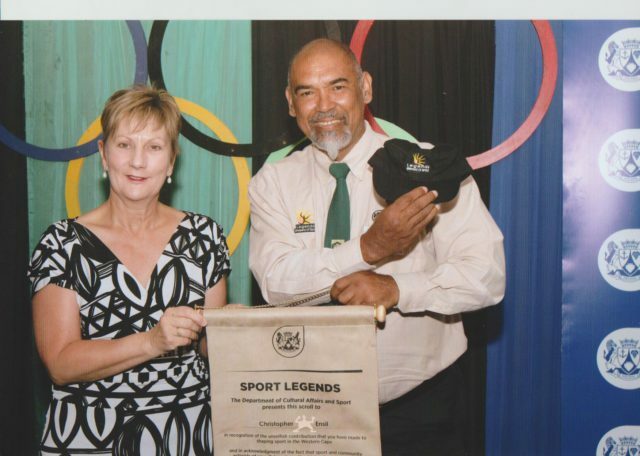 Franschhoek’s resident karate instructor has been recognised as a ‘legend’ by the Department of Culture and Sport at the Western Cape Legend Awards Ceremony on 14 December 2016. Geraldine Mettler is Stellenbosch Municipality's new Municipal Manager. 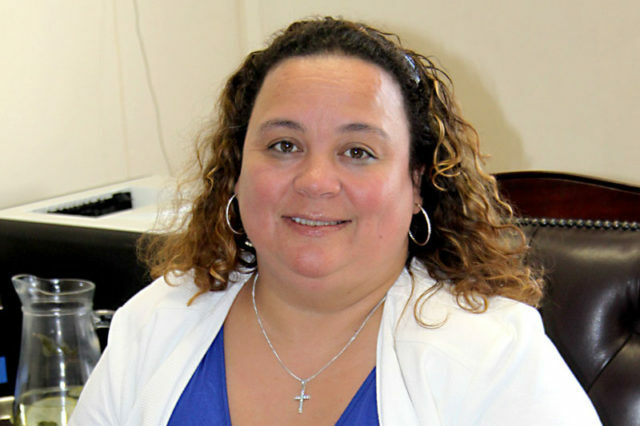 Geraldine Mettler has been appointed as the new municipal manager of Stellenbosch Municipality. She started in the role at the beginning of January. 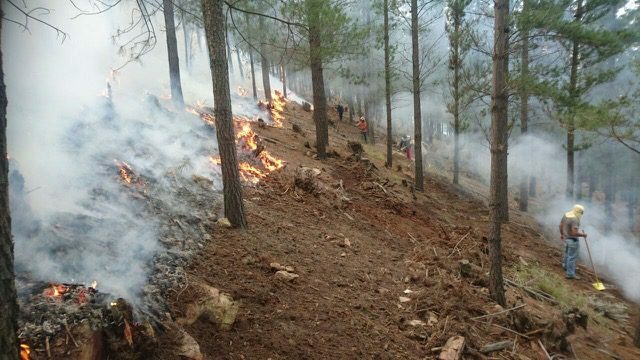 Volunteers man the fire line at one of the La Motte fires. 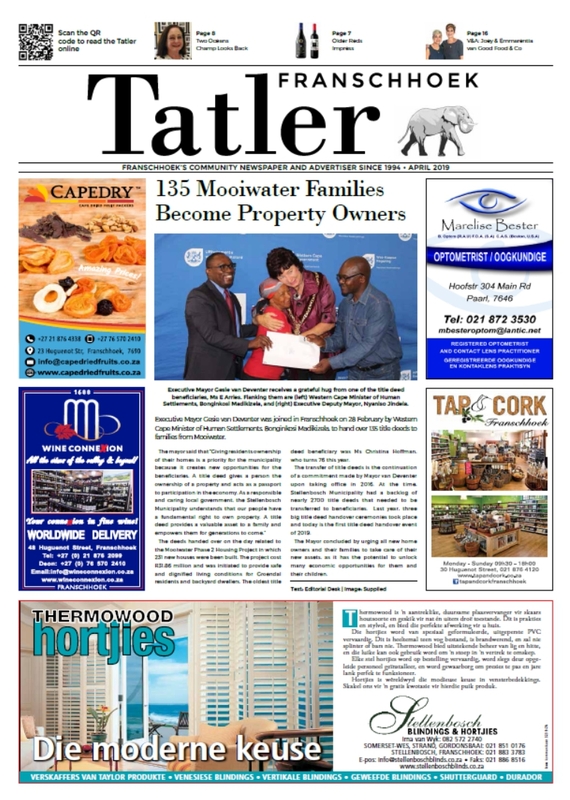 Responding to a request for information from the Tatler, Ashley Bauer – manager of the Franschhoek Ward of the Winelands Fire Protection Association (WFPA) – said that there have been 35 fires in the Franschhoek ward since the beginning of the fire season (Nov 2016 – Jan 2017). “Two of the fires resulted from contractors doing hot work, i.e. grinding and welding. The rest have been unlawful ignitions, deliberately lighted fires and fireworks over the New Year,” he said.